Here’s the thing. What is so bad about trying something new? I know that the new is scary. When you walk into a dark room you never know what awaits you. It’s the momentary terror your minds spins into reality. You’ve seen way too many episodes of CSI and NCIS to believe that nothing is lurking in the shadows. But wait… what if instead of a horrifying beast or the suspicious murderous foe, waited a surprise party? All your friends joyously welcoming you to a festivity of laughter and merriment. This my friends, is why the new cannot be missed. Everyday at work I make the obligatory pan of buttered noodles. Not really a big deal but it did get me thinking. Everyday I have kids that choose buttered noodles over anything else. Some of them I truly believe only like buttered noodles, but others take them simply because they don’t know if they will like the other offerings. It makes me wonder what is so wrong with trying something new. I know that when I was a kid we ate what was put in front of us and we were happy. (Well, unless it was my brother and beef barley soup, that combination was more drama then Jersey Shore) Anyway, the point is this: why don’t kids like to try new foods. They try new games, and TV shows. 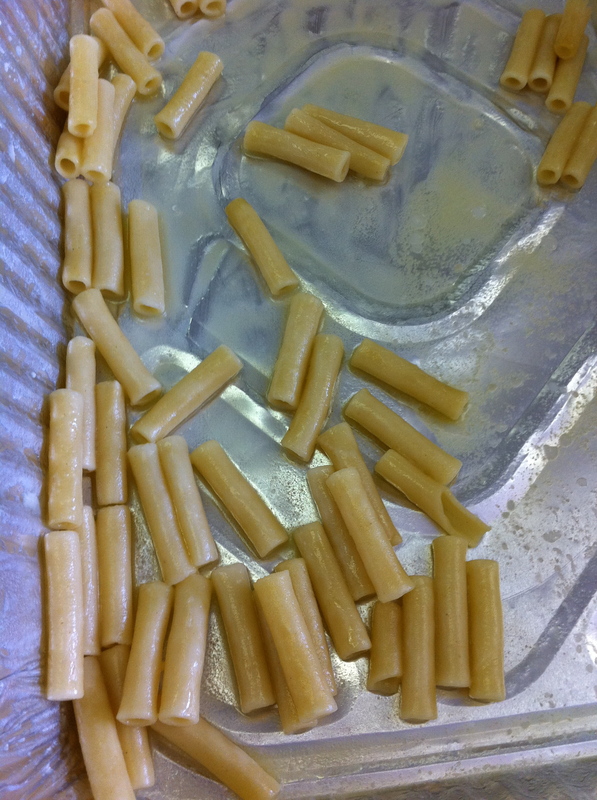 They make new friends and read new books, but when it comes to lunch it seems to be the old standby, buttered noodles. Do you ever remember looking a food that you had never seen before and then looking at your mom or your dad and asking if you liked it. Usually they would lean down and say yes. In my family when this happened and we did not actually like what we had just tasted, we would say that our taste-buds had changed. And, rightly so as your taste-buds do change over time. What I can’t seem to wrap my head around though, is the complete lack of curiosity. How do you know you don’t like something if you’ve never tried it before. My philosophy is try something twice. Just like when tasting wine, the first taste clears your palette. The second taste is when you really get to know the food. It’s the second date if you will. If the first bite left you unsure, the second will most definitely help you decide.